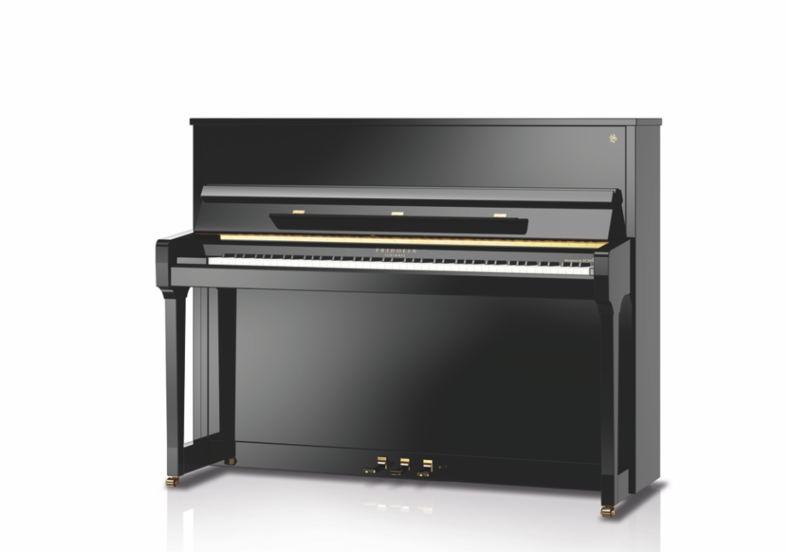 Fridolin is the brand new range of affordable upright pianos from the highly regarded German piano company Schimmel. Named after the brother of founder Wilhelm Schimmel, these instruments are completely designed by Schimmel in Germany and made by their strategic partner, Pearl River, in China. Every instrument is fully checked and prepared by the factory in Braunschweig to ensure their excellent quality before being despatched to the dealer. It may come as a surprise to learn that Pearl River is the world’s largest piano manufacturer by far; producing approximately 140,000 pianos per year. Their brand new ‘State of the Art’, climate controlled and highly automated production facilities are where the Fridolin range is produced, overseen by senior Schimmel technical staff. Every detail of these uprights has been designed by Schimmel piano engineers, including the action, acoustic assembly and casework. The result is a piano that is not only great value for money, but clearly belongs to the Schimmel family of sound and touch. The action is accurate and responsive, and the sound is big, rich and full; in true Schimmel style it belies the instrument’s physical size. Twin Tone version is available. Other sizes available are the F121 and F123.